In this video, Christiane Heiligers talks about some of the major challenges that developers face when creating applications for more than one locale. 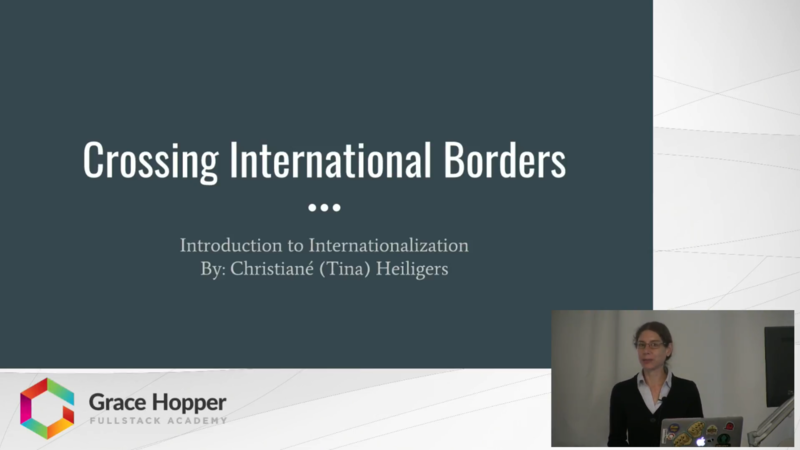 Christiane discusses the design and development criteria that should be considered when an application has to go global, demonstrating key ideas with a custom built application. Christiane also dives into the inner workings of the I18n-JS library, showing how it can be used in a Node.js environment, so that you'll know how to use it.